The decision to remodel your kitchen likely brought sweat to your brow as you contemplated the sheer magnitude of this type of home improvement project. It’s one of the most common but it’s also one of the most disruptive, not to mention expensive. Think about it: you practically live in your kitchen, spending a good chunk of your day in there cooking, cleaning, snacking, chatting…you name it. All your appliances are in there, so to go without a kitchen for any length of time can be a major displacement. But fear not! A good contractor should be able to tackle the project with ease. A great one will keep the project rolling quickly yet efficiently while keeping you in the loop at all times so you know exactly what to expect. If you’re facing a kitchen remodel in Corona CA, follow these helpful tips on questions to ask your contractor before hiring them. Remember, kitchens are usually the most costly and complicated room to renovate, with average costs hovering around $20,000 and up, over approximately eight weeks of construction, according to Architectural Digest. So, treat the hiring process like a job interview so you can ensure you’re getting the right professional for the job. This should be the very first question you ask because it sets the tone for the contractor’s professionalism. The answer to this question should be YES! Ask for a copy, then head to the California State Department of Consumer Affairs to verify the license. Can You Provide a Detailed Proposal? Do You Work with Sub Contractors? This is OK if they do – it’s pretty common in a project that involves so many facets ranging from electrical work and plumbing to cabinetry and painting. But ask for a list of those sub contractors and make sure they’re background checked and licensed, with the proper workman’s comp and disability insurance. Look for years of experience in one geographical area, which shows that the contractor has successfully managed to build a loyal customer base in the same place for a prolonged period of time. Contracting businesses that have been around for several years have already worked through many of the growing pains that plague companies that are just starting out. They have finely honed their craftsmanship, processes and systems to ensure timely work that’s on budget and of superior quality. How Often Can We Meet? If you choose to leave your home during the renovations and stay with family, you’ll want to know you can stop by any time to check on progress. Ask how often you can meet to sit down and discuss changes, timelines, budget and design ideas. Ideally, once a week is good, but you should feel free to stop by any time unannounced. It is, after all, your home! 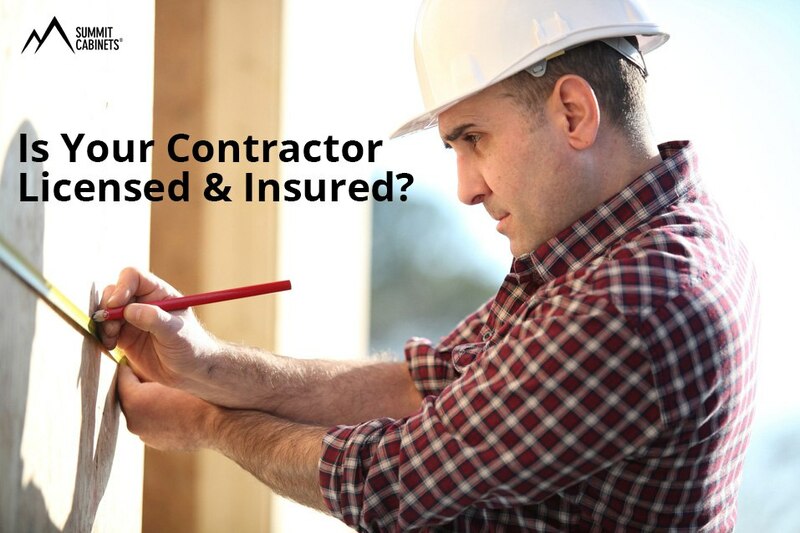 Make sure you get the contractor’s direct line so you can contact him or her with questions. Do You Give Shopping Discounts? Most contractors and interior designers receive a 10 percent trade discount on appliances. A reputable contractor will pass on this discount to you as a courtesy for getting your business. If you must buy your own appliances, ask if the contractor will pick them up and deliver them to you at no added fee. This should be in your contract but it’s always a good idea to ask anyway. Never pay full price up front for contracting work, advises the Better Business Bureau. It’s wise to be aware of how much is due and when. This can be outlined by specific dates or based on completed parts of the project. You may be asked to provide a low down payment for the contractor to begin work, but don’t make that final payment until the project is completed to your satisfaction. Summit Cabinets, a contemporary wholesale cabinet factory outlet based in Corona CA, provides beautiful custom kitchen cabinets at affordable prices. We invite you to come browse our unique kitchen cabinet collection offered by NKBA certified kitchen designers. Call us today at 909-980-0700 or email us at designcenter@summit-cabinets.com for more information on how we can make your kitchen remodel in Corona CA really stand out!